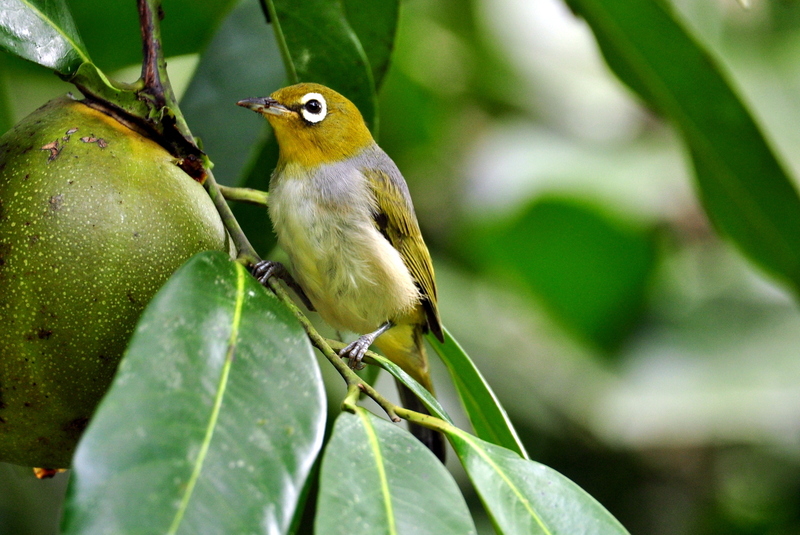 Delightful little Silvereyes, with their gentle high-pitched chatter, are not an uncommon species. They can be found all down the east coast, in Tasmania and in south-west Australia with some variation between the different identified races. 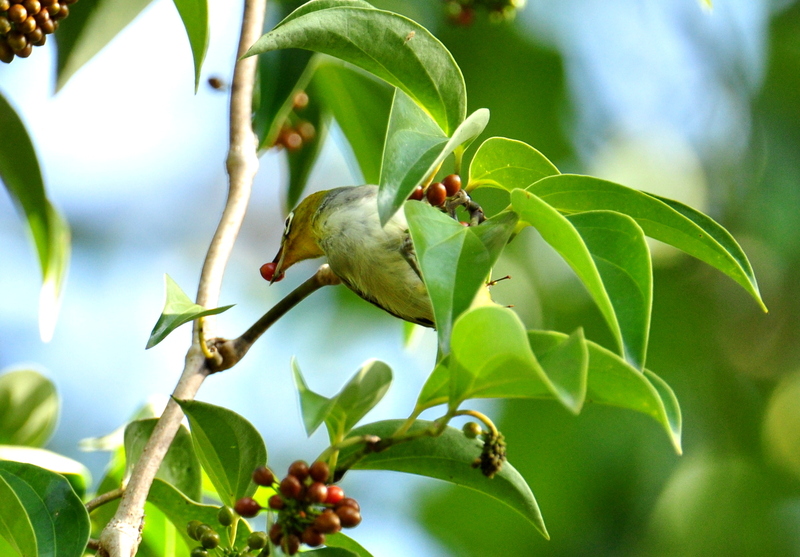 We have Zosterops lateralis; race vegetus – a long name for such a small bird. Plentiful fruit in this native Pepper vine, Piper caninum, is proving very popular and they seem to slide down whole without any apparent problem. While Silvereyes are known as a pest in some orchards and especially in vineyards we have the luxury of enough Black Sapote to share. 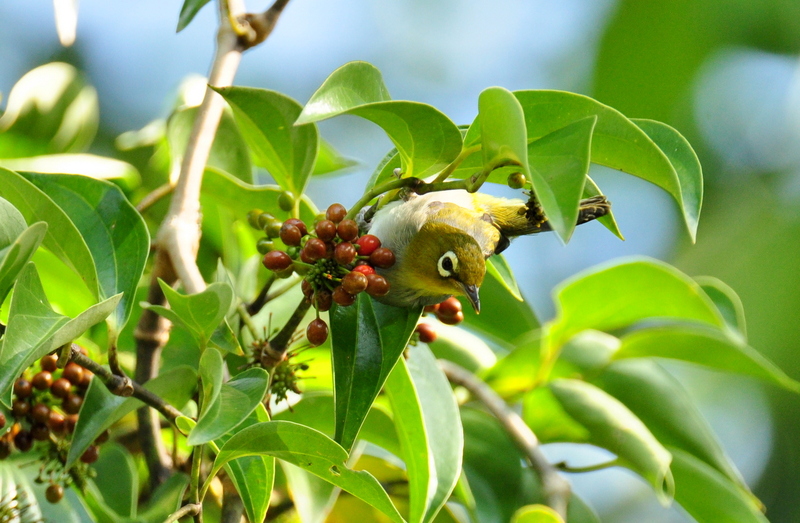 Now that the crop is nearly finished the fruit-loving birds are competing with each other for a share and so the Silvereyes have shown their feisty nature as they compete with various Honeyeaters for the softest fruit.